For the book lover - (and dog lover & Rochester fan)... Stay by Allie Larkin. 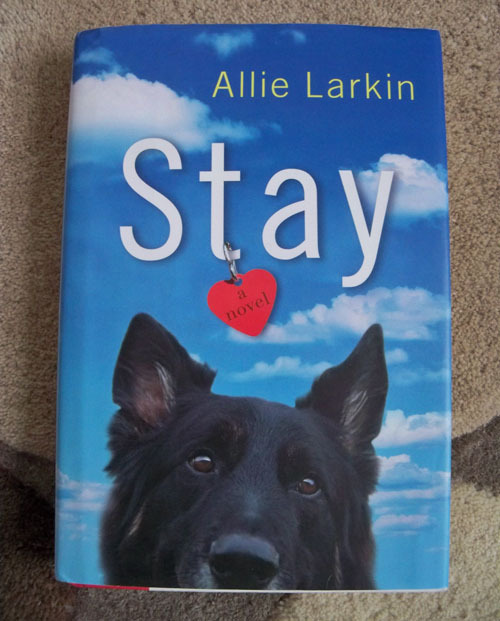 Allie Larkin sent me her book Stay to read for the blog. There were two things about the book that caught my interest... there was a dog in it and it was placed in Rochester. I did get a kick out of the descriptions of Joe the pooch in the book. They were so spot on, obviously written by someone that has been around dogs. I also looked forward to the different Rochester spots that would pop up in the story - Wegmans, the Canal Path, the Public Market... Rochester is such a great place to live, I'm so happy to have a story set here. What I didn't expect, was how much I would root the main character, Van. She is such a mess really... bad luck, bad decisions... something we have all experienced. Just not to the extent she has. But she keeps plodding along, trying her best... you can't help but want something to work out for her. Allie was nice enough to answer a few questions I had about the book after I read it. Q - What inspired you to write this story? Allie - STAY started as a writing exercise in a class at St. John Fisher College. Later in the semester, we had to pick a past exercise and revise it three times, changing something major like tense or main character. I picked that exercise, because it was the worst one I’d written and I figured it gave me the most room for improvement. In the third round of edits, I “found” Van, the main character in STAY. I wrote a short story about her and her best friend, Janie, having coffee at Starbucks and discussing Van’s failed love life. A few years later, I was asked to join a writing group, and decided I wanted to work on that story again, because I loved Van so much. Eventually, I started to realize it was more than a short story. Q - How much did having dogs yourself play into the story line? Allie - I wrote the wedding scene and got Van all the way back to Rochester, and then I was completely stuck. She was so stagnant in her life and something had to change, but I didn’t know what. I was raking leaves in the backyard one day, and our dog, Argo, was with me. While I was watching him run around the yard, I starting thinking about all the amazing ways he’s changed my life. When I sat down to write again, I decided to play around with the idea of Van getting a dog. 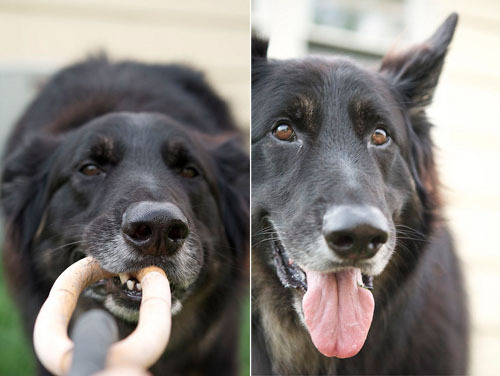 Argo, who is actually the cover model for STAY, is a very easy-going dog. As a result, Joe was a little too well-behaved in the first few drafts of STAY. I was several drafts in when we got Stella. She was a huge help in inspiring some of Joe’s antics. Q - I love all the references to Rochester... Wegmans, the Public Market. Why did you decide to place the story in Rochester? Alliie - This coming February will mark my eleven year anniversary as a Rochesterian. I’ve spent the majority of my adult life here, and it feels like home. I wanted to set STAY here, pay homage to my home, and also represent life in a smaller city, which is something I think so many people relate to. Rochester has a great sense of culture and so many interesting quirks. It was fun to share that. STAY is out as an audiobook too, and I loved explaining to the director and Julia Whelan, who read the book, how to pronounce some of our great Rochesterisms, like the town of Chili. Q - Why do you think Stay would make a great Christmas present? Allie - STAY is a celebration of friendships and how durable, complicated, and important they can be, so I think it’s a great gift for a season when we take time to reflect on the relationships in our lives. The Barnes & Noble in Greece carries signed copies of STAY, and can even arrange to have copies signed to a specific person for a holiday gift. I thought it was cool to see local talent Dresden, a friend from the George Eastman House, and the local agency, Form Collective, both worked on this video! If you know someone that A. likes a story with a lot of heart, B. likes dogs, C. loves Rochester - this should be on your shopping list! I read Stay earlier this year, and really enjoyed it. I think this is one of the best debut novels I have read in a long time. I hope she is at work on a second novel!